Have you ever seen the baby blanket beautiful like this. It’s really awesome. I can’t take my eyes of this blanket, it’s the prettiest creation we have ever seen. Imagine how lovely will be your little angel in this blanket. 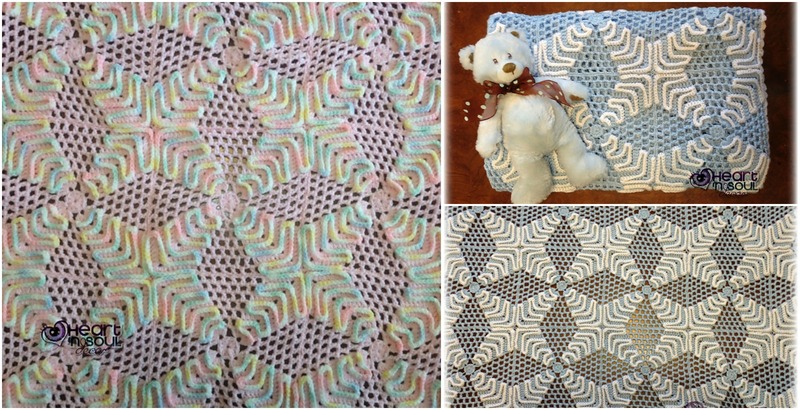 If you haven’t baby you can crochet it for your friends or neighbors baby or if there is no baby around you can just crochet it for you, because this blanket will make your bed or living room more attractive. On first picture there is stars with rainbow colors and it’s very creative. You can choose color as you like of course. We are sorry, because pattern is not free, But for good pattern four or five dollar is not big money. Good luck to everyone.